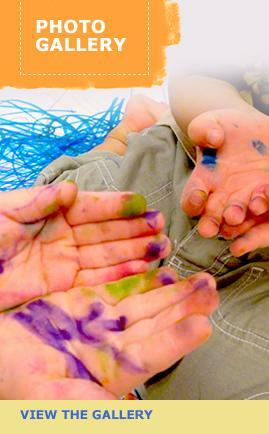 The University Child Development Center exists as a special system of education for children of the faculty, staff, and students of the University of Pittsburgh. At the same time, the Center supports the University’s mission of teaching, research, and public service by operating as a laboratory setting for faculty and students majoring in child-related fields of study. We are here to meet the needs of many. Most importantly, we will be dedicating our most intense efforts to meeting the needs of the very young people with whom we are privileged to share our days. It is our responsibility, as educators, to make the Center’s program as effective as possible. We not only welcome, but also truly value the family's role in achieving our shared goals. UCDC utilizes a child centered, extended family approach that is fostered by supporting the developmental needs of all children. We foster children’s self esteem, creative abilities, sense of belonging and success by implementing a developmentally appropriate curriculum based on NAEYC and Keystone STAR standards, through a play-based approach to learning. We support families and partner with them to provide an environment that welcomes their collaboration and supports both cultural and family preferences. The Center collaborates with the University and the greater community to provide a setting for research and observation. University students and observers from the community use the Center to learn about children and programs of excellence. Students take their cues from the teachers and the children. The Center's professional staff works with these students to help them form a respectful and informed sense of young children and their families. The Center provides opportunities for research, student teaching, observations and other professional development opportunities as are appropriate for the learning environment.